German confectionery brand Werther's original has appointed Initiative Sydney as its media agency of record. Manufactured by German company Storck and distributed locally by Stuart Alexander and Co., Initiative will plan and manage all Werther’s Original media including TV, digital, out-of-home and activations. The account adds to Initiative’s recent run of wins in 2018, which have also included local and international accounts such as the Government of Western Australia, Under Armor, John Cootes, Revlon and Destination Canada. “Werther’s Original is an iconic brand that stirs fond memories for a lot of people and we are looking forward to leveraging this strong connection with audiences across Australia,” Initiative Sydney GM Nick Wokes says. Carat Australia has won the media account for healthy burger chain, Grill’d, following a competitive pitch. 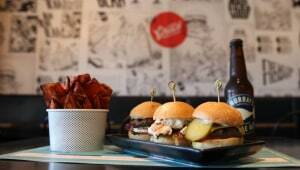 The burger chain has 125 stores around Australia, with an emphasis on ‘doing good’. This is the first time the business has worked with a media agency. Carat has won their full scope of media responsibilities. The announcement follows other recent wins for the agency, including alcohol delivery service, Jimmy Brings, and the retention of key clients, The West Australian Government and Microsoft, following competitive pitches. Creative agency, Paper Stone Scissors, has been appointed by Politix menswear to create a fully integrated campaign for their SS19 Launch. The appointment follows a competitive agency tender in June of this year. Paper Stone Scissors will be responsible for the strategic and creative development and production of all brand communications.